Big retailers these days have "fulfillment centers" to handle the sheer volume of online orders they receive from around the world. Here, in these warehouse-like structures, individual products are tracked down, packaged and shipped to millions of destinations as efficiently as possible. Tiny structures called ribosomes are in effect the fulfillment centers of the cellular world, receiving orders for countless protein products from messenger ribonucleic acid (mRNA) and quickly and efficiently getting those products assembled and on the way to where they're needed. Ribosomes are generally considered organelles, although molecular biology purists sometimes point out that they are found in prokaryotes (most of which are bacteria) as well as eukaryotes and lack a membrane separating them from the cell interior, two traits that could be disqualifying. In any case, both prokaryotic cells and eukaryotic cells possess ribosomes, the structure and function of which are among the more fascinating lessons in biochemistry, owing to how many fundamental concepts the ribosomes' presence and behavior underscore. Ribosomes consist of about 60 percent protein and about 40 percent ribosomal RNA (rRNA). This is an interesting relationship given that a type of RNA (messenger RNA or mRNA) is required for protein synthesis, or translation. So in a way, ribosomes are like a dessert consisting of both unmodified cacao beans and refined chocolate. RNA is one of two types of nucleic acids found in the world of living things, the other being deoxyribonucleic acid or DNA. DNA is the more notorious of the two, often getting mention not only in mainstream science articles but also in crime stories. But RNA is actually the more versatile molecule. Nucleic acids are made up of monomers, or distinct units that function as stand-alone molecules. Glycogen is a polymer of glucose monomers, proteins are polymers of amino acid monomers and nucleotides are the monomers from which DNA and RNA are made. Nucleotides in turn consist of a five-ring sugar portion, a phosphate portion, and a nitrogenous base portion. In DNA, the sugar is deoxyribose, whereas in RNA it is ribose; these differ only in that RNA has an -OH (hydroxyl) group where DNA has a -H (a proton), but the implications for RNA's impressive array of functionality are considerable. Additionally, while the nitrogenous base in both a DNA nucleotide and an RNA nucleotide is one of four possible types, these types in DNA are adenine, cytosine, guanine and thymine (A, C, G, T) whereas in RNA, uracil is substituted for thymine (A, C, G, U). Finally, DNA is almost always double-stranded, while RNA is single-stranded. It is this difference from RNA that perhaps contributes most to RNA's versatility. The three major types of RNA are the aforementioned mRNA and rRNA along with transfer RNA (tRNA). While close to half of the mass of ribosomes is rRNA, mRNA and tRNA both enjoy intimate and indispensable relationships with both ribosomes and each other. In eukaryotic organisms, ribosomes are mostly found attached to the endoplasmic reticulum, a network of membranous structures best likened to a highway or railroad system for cells. Some eukaryotic ribosomes and all prokaryotic ribosomes are found free in the cytoplasm of the cell. Individual cells may have from thousands to millions of ribosomes; as you may expect, cells that produce a lot of protein products (e.g., pancreatic cells) have a higher density of ribosomes. In prokaryotes, ribosomes include three separate rRNA molecules, whereas in eukaryotes ribosomes include four separate rRNA molecules. Ribosomes consist of a large subunit and a small subunit. At the beginning of the 21st century, the complete three-dimensional structure of the subunits was mapped. Based on this evidence, rRNA, not proteins, provides the ribosome with its basic form and function; biologists had long suspected as much. The proteins in ribosomes primarily help fill in structural gaps and enhance the ribosome's main job – the synthesis of proteins. Protein synthesis can occur without these proteins, but does so at a much slower pace. The de facto mass units of ribosomes are their Svedberg (S) values, which are based on how rapidly the subunits settle to the bottom of test tubes under the centripetal force of a centrifuge. The ribosomes of eukaryotic cells usually have Svedberg values of 80S and consist of 40s and 60s subunits. (note that S units are clearly not actual masses; otherwise, the math here would make no sense.) In contrast, prokaryotic cells contain ribosomes reaching 70S, split into 30S and 50S subunits. Both proteins and nucleic acids, each being made of similar but not identical monomeric units, have a primary, secondary and tertiary structure. The primary structure of RNA is its ordering of individual nucleotides, which in turn depends on their nitrogenous bases. For example, the letters AUCGGCAUGC describe a ten-nucleotide string of nucleic acid (called a "polynucleotide" when it is this short) with the bases adenine, uracil, cytosine and guanine. The secondary structure of RNA describes how the string assumes bends and kinks in a single plane thanks to electrochemical interactions between the nucleotides. If you put a string of beads on a table and the chain joining them was not straight, you would be looking at the beads' secondary structure. Finally, tertiary stricture refers to how the whole molecule arranges itself in three-dimensional space. Continuing with the beads example, you could pick it up off the table and compress it into a ball-like shape in your hand, or even fold it into a boat shape. Well before the advanced laboratory methods of today became available, biochemists were able to make predictions about the secondary structure of rRNA based on the known primary sequence and the electrochemical properties of individual bases. For example, was A inclined to pair with U if an advantageous kink formed and brought them into close proximity? In the early 2000s, crystallographic analysis confirmed many of the early researchers' ideas about rRNA's form, helping shed further light on its function. For example, the crystallographic studies demonstrated that rRNA both participates in protein synthesis and offers structural support, much like ribosomes' protein component. rRNA makes up most of the molecular platform on which translation occurs and has catalytic activity, which means that rRNA participates directly in protein synthesis. This has lead to some scientists using the term "ribozyme" (i.e., "ribosome enzyme") instead of "ribosome" to describe the structure. E. coli bacteria offer an example of how much scientists have been able to learn about prokaryote ribosomal structure. The large subunit, or LSU, of the E. coli ribosome consists of distinct 5S and 23S rRNA units and 33 proteins, called r-proteins for "ribsomal." The small subunit, or SSU, includes one 16S rRNA portion and 21 r-proteins. Roughly speaking, then, the SSU is about two-thirds the size of the LSU. In addition, the rRNA of the LSU includes seven domains, while the rRNA of the SSU can be divided into four domains. The rRNA of eukaryotic ribosomes has about 1,000 more nucleotides than does the rRNA of prokaryotic ribosomes – about 5,500 vs. 4,500. Whereas E. coli ribosomes feature 54 r-proteins between the LSU (33) and the SSU (21), eukaryotic ribosomes have 80 r-proteins. The eukaryotic ribosome also includes rRNA expansion segments, which play both structural and protein-synthesis roles. The ribosome's job is making the whole range of proteins an organism requires, from enzymes to hormones to portions of cells and muscles. This process is called translation, and it is the third part of the central dogma of molecular biology: DNA to mRNA (transcription) to protein (translation). The reason this is called translation is that the ribosomes, left to their own devices, have no independent way to "know" what proteins to make and how much, despite having all of the raw materials, the equipment, and the workforce required. Returning to the "fulfillment center" analogy, imagine a few thousand workers filling the aisles and stations of one of these enormous places, looking around at toys and books and sporting goods but getting no direction from the Internet (or from anywhere else) about what to do. Nothing would happen, or at least nothing productive to the business. What is translated, then, is the instructions encoded in mRNA, which in turn gets the code from DNA in the cell's nucleus (if the organism is a eukaryote; prokaryotes lack nuclei). In the process of transcription, mRNA is made from a DNA template, with the nucleotides added to the growing mRNA chain corresponding to the nucleotides of the template DNA strand at the level of base-pairing. A in DNA generates U in RNA, C generates G, G generates C, and T generates A. Because these nucleotides appear in a linear sequence, they can be incorporated into groups of two, three, ten or any number. As it happens, a group of three nucleotides on an mRNA molecule is called a codon, or "triplet codon" for specificity purposes. Each codon carries the instructions for one of 20 amino acids, which you'll recall are the building blocks of proteins. For example, AUG, CCG and CGA are all codons and carry the instructions for making a specific amino acid. There are 64 different codons (4 bases raised to the power of 3 equals 64) but only 20 amino acids; as a result, most amino acids are coded for by more than one triplet, and a couple of amino acids are specified by six different triplet codons. Protein synthesis requires yet another type of RNA, tRNA. This type of RNA physically brings the amino acids to the ribosome. A ribosome has three adjacent tRNA binding sites, like personalized parking spaces. One is the aminoacyl binding site, which is for the tRNA molecule attached to the next amino acid in the protein, that is, the incoming amino acid. The second is the peptidyl binding site, where the central tRNA molecule containing the growing peptide chain attaches. The third and last is an exit binding site, where used, now-empty tRNA molecules are discharged from the ribosome. Once amino acids are polymerized and a protein backbone has formed, the ribosome releases the protein, which is then transported in prokaryotes to the cytoplasm and in eukaryotes to the Golgi bodies. The proteins are then completely processed and released, either inside or outside the cell, as all ribosomes produce proteins for both local and faraway use. Ribosomes are very efficient; a single one in a eukaryotic cell can add two amino acids to a growing protein chain every second. In prokaryotes, ribosomes work at an almost frantic pace, adding 20 amino acids to a polypeptide every second. 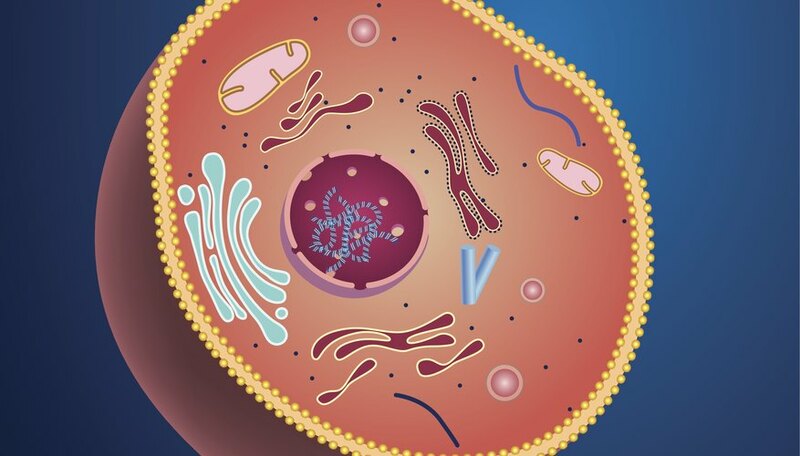 An evolution footnote: In eukaryotes, ribosomes, in addition to being located in the aforementioned spots, can also be found in the mitochondria in animals and the chloroplasts of plants. These ribosomes are very different in size and composition from other ribosomes found in these cells, and hearken to the prokaryotic ribosomes of bacterial and blue-green algae cells. This is considered reasonably strong evidence that mitochondria and chloroplasts evolved from ancestral prokaryotes. 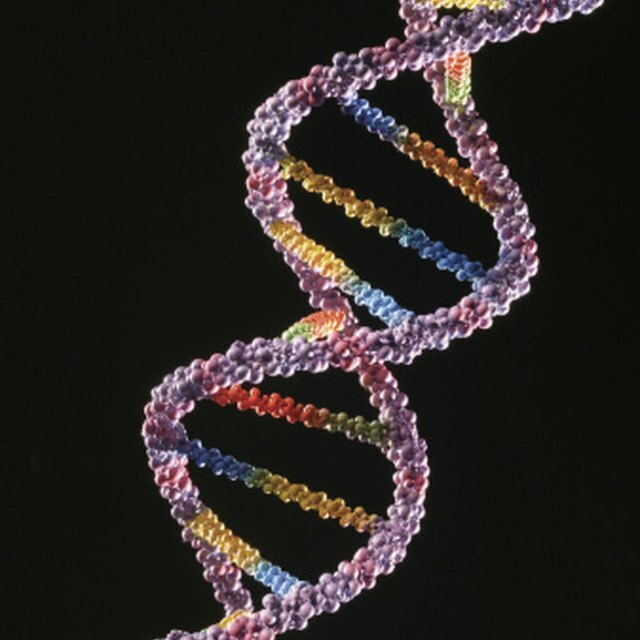 DNA Transcription: How Does it Work? What Enzyme Is Responsible for Elongating the RNA Chain? Beck, Kevin. "Ribosomes: Definition, Function & Structure (Eukaryotes & Prokaryotes)." Sciencing, https://sciencing.com/structure-function-ribosomes-eukaryotes-prokaryotes-20173.html. 12 April 2019.